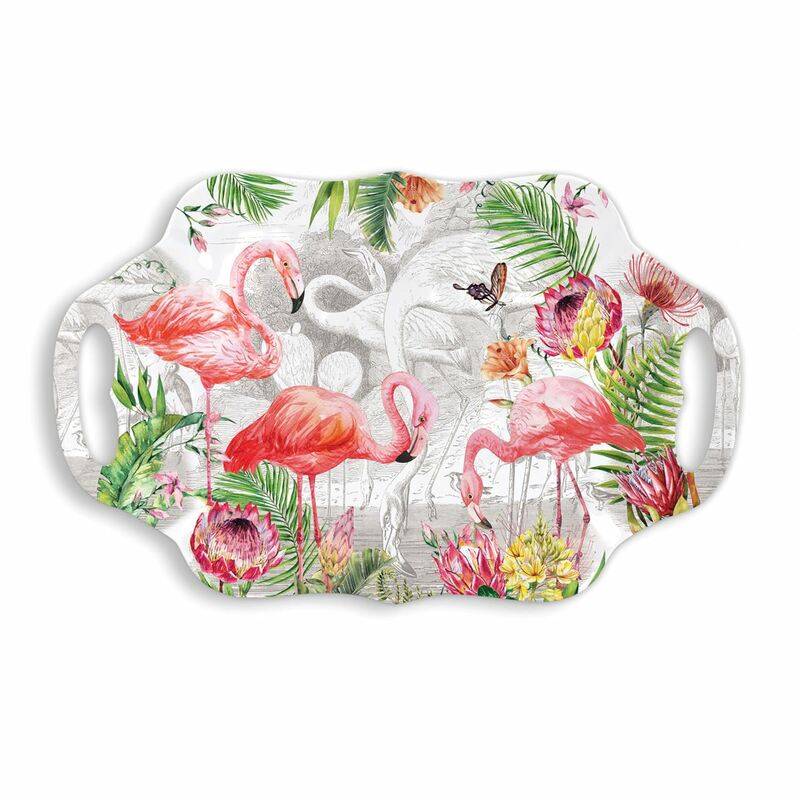 Flamingo Melamine Serveware Serving Tray Shop the largest selection of Michel Design Works rectangular serveware trays and more - Flamingo Collection. Plus free ground shipping on orders over $50. The generous size of this tray makes it eminently useful. The curved edges and built-in handles make it truly stylish.